In Hydromagic, a set of background maps, raw data files, soundings, map overlays and boundaries are organized as projects. 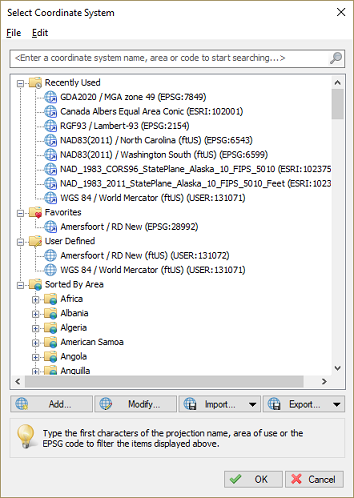 Each project has its own projection settings, surveyor name and project description associated with it, and is stored in a separate folder on the disk. 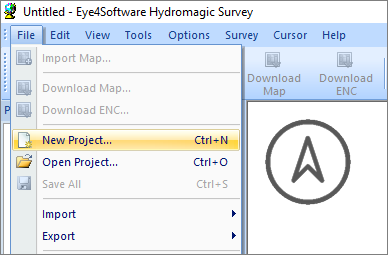 The settings of the project are saved into a "Hydromagic Project File" with ".HPF" extension. These files are stored in XML format and, although not recommended, can be altered using any text editor application. Some folders, like "Draft", "Reports", "Tides" and "Velocity" are provided to keep the project organized. The folders "Backups", "Maps", "Matrices", "Modified", "RawData" and "Soundings" are required to run the software and should not be removed or renamed ! The first thing to do when start working with the software, is creating a project. That is, of course, when there is no project available to load. 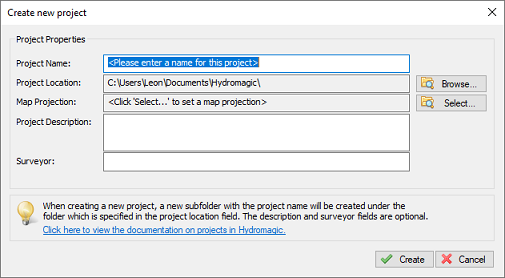 To create a new project, select "New Project..." from the "File" menu in either the Hydromagic Survey application. When a project is currently loaded, it will ask you whether you want to save changes and unload it. The following dialog is displayed. Just fill the required fields and click the "Create" button to create an empty project. Enter a name for the project. This name is also used as the folder name for the project on the disk. Please note that this name can't contain any of the following characters: ' | ', ' / ', ' * ', ' : ' ,' ? ', ' " ', ' < ' and ' > '. You can select the location where the project is stored here. 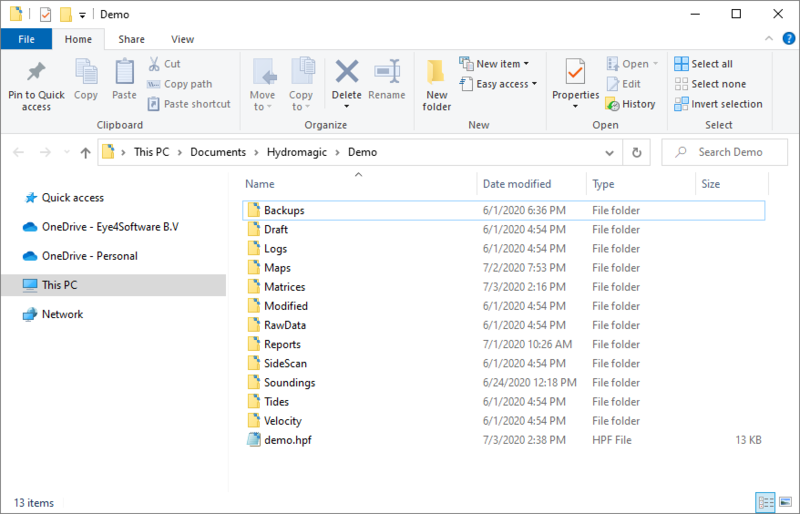 By default the "Hydromagic" folder under "My Documents" will be selected. 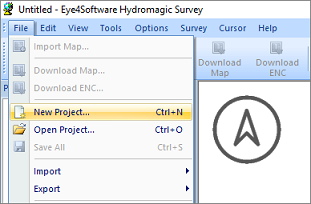 Select the map projection which is going to be used in this project by clicking the "Select..." button. Please note that you cannot change the map projection once the project has been created. You can enter a description for the project here. The use of this field is optional. The value of this field can be selected as part of the map footer text. You can enter the name(s) of the surveyor(s) here. The use of this field is optional. Your project and its contents can be viewed and modified using the "Project Explorer". It can be used to download maps, import maps or data, remove items and many more. In addition to the maps, you can also access raw data, soundings, waypoints, boundaries and matrices here. For more options, just right-click with your mouse on an item to get a popup menu. 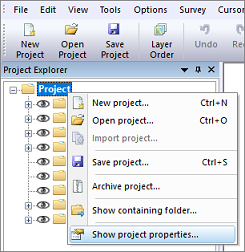 When the "Project Explorer" isn't visible it could be hidden or closed. To restore it, select "Project Explorer" from the "View" menu. 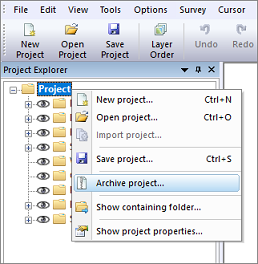 Using the "Project Explorer" it is possible to backup or archive your entire project with just a couple of mouse clicks. To do so, right click the project root in the "Project Explorer" and select the "Archive project..." option. 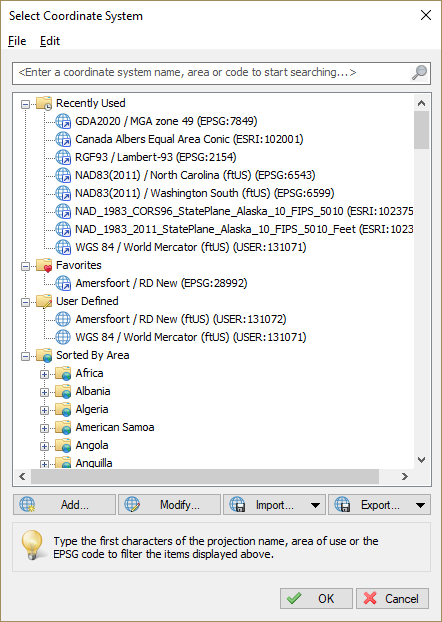 A file dialog will appear, allowing you to set the name and location of the output file. 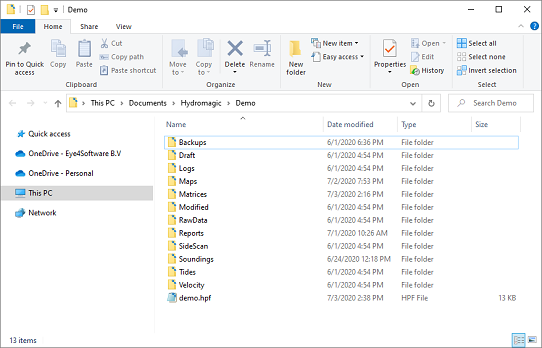 The backup can be written as either a ZIP, TAR or ISO file. Click "OK" to generate the file. To open a Windows Explorer window containing the contents of the project, right click the root of the project in the "Project Explorer" and select the "Show containing folder...". This might come in handy when, for instance, you want to manually copy or backup files from or to your project. This function can be used to alter some project properties like the surveyors name and the project description. It is not possible to change the projection, units and project name once a project has been created. When the map projection needs to be changed, you have to create a new project and import the raw data files in case you did already recorded those. To show or modify these properties, right click the root of the project in the "Project Explorer" and select the "Show project properties...". When done editing, just click the "OK" button to store the modifications.